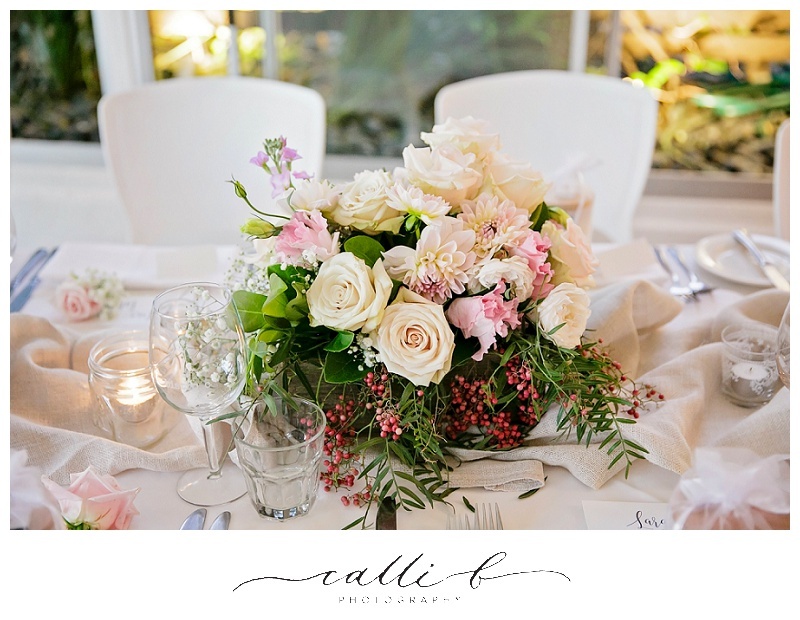 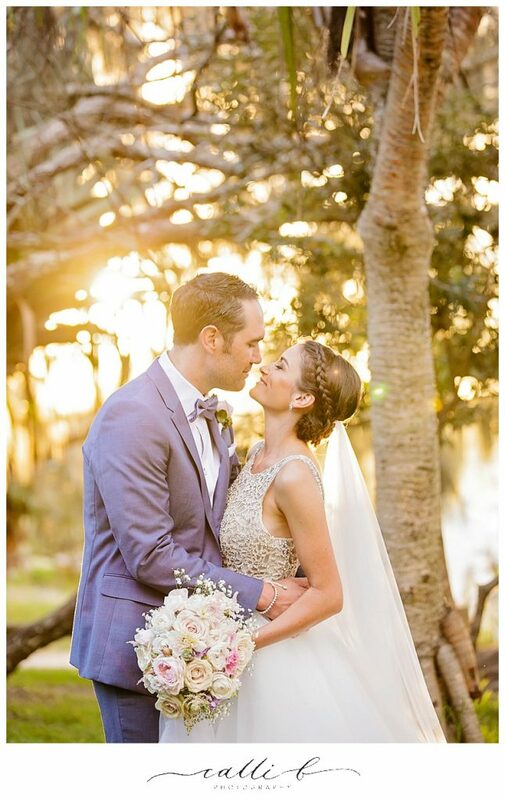 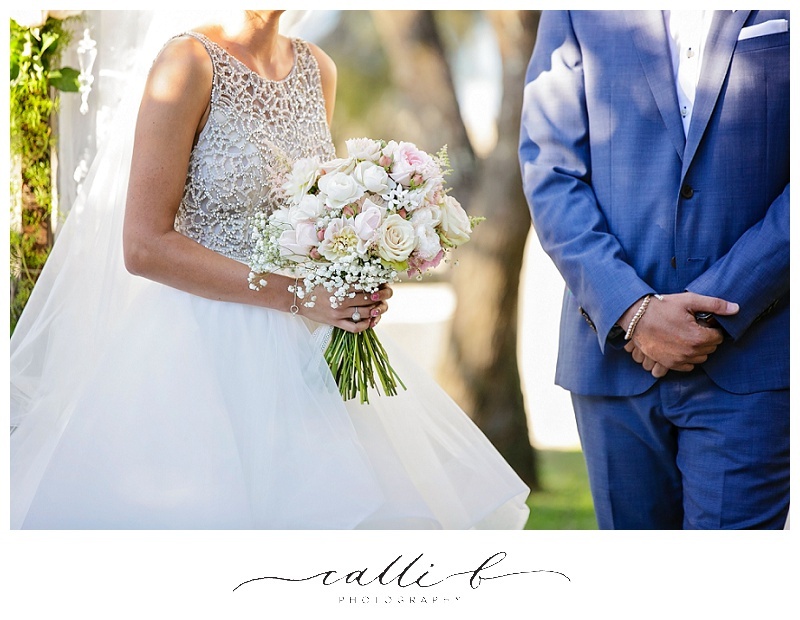 It was a spectacular Autumn day for Lara and Luke’s divine vintage Noosa wedding. 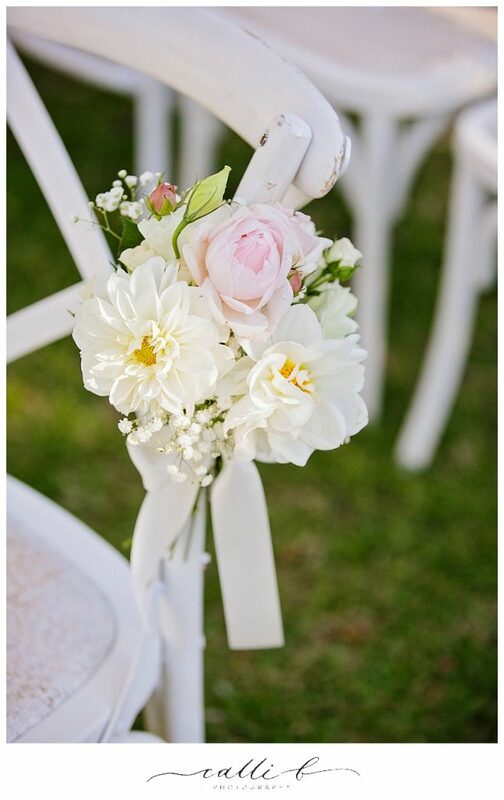 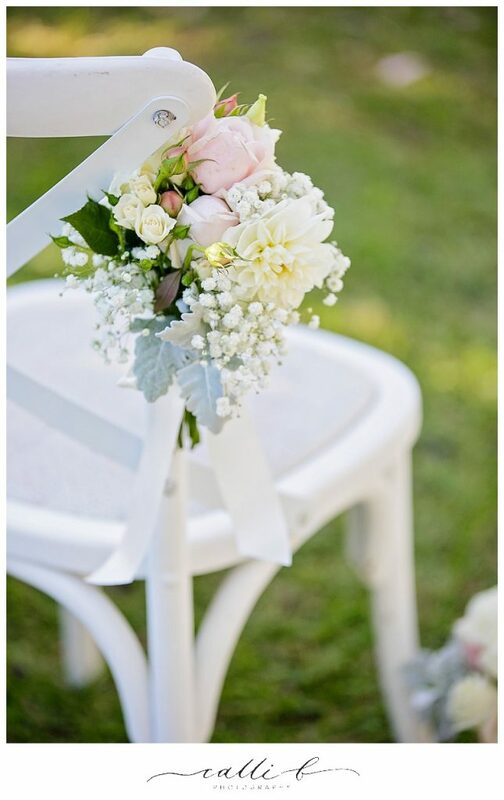 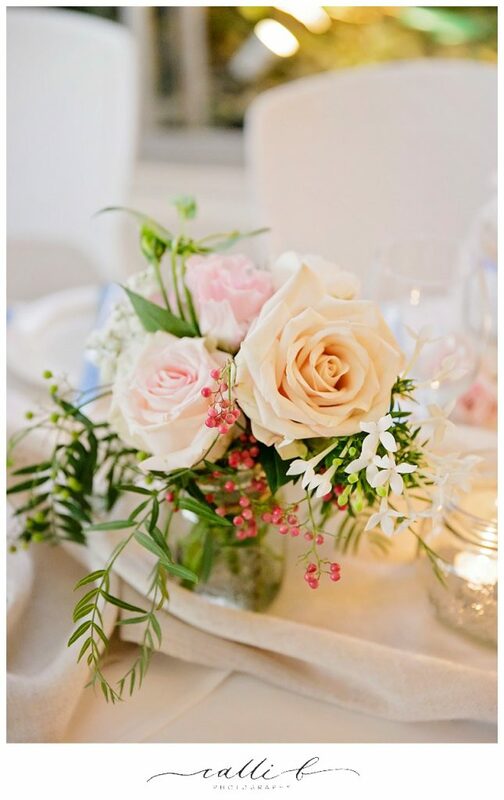 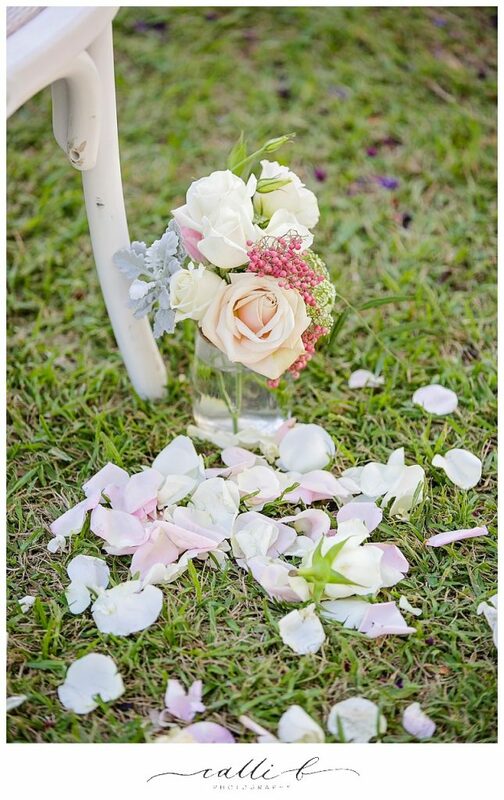 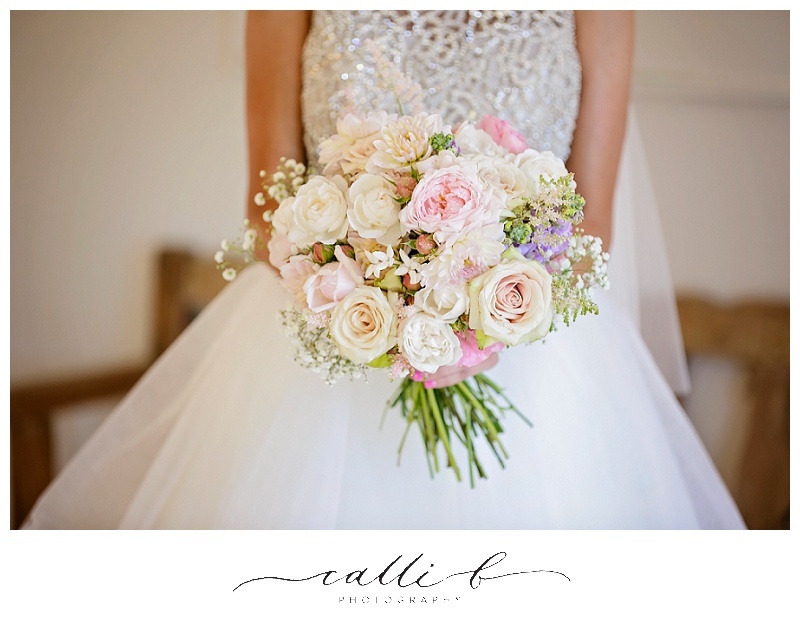 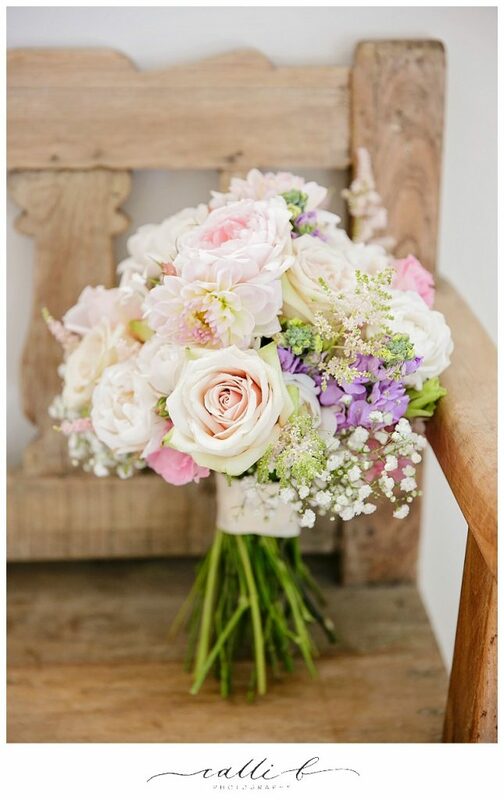 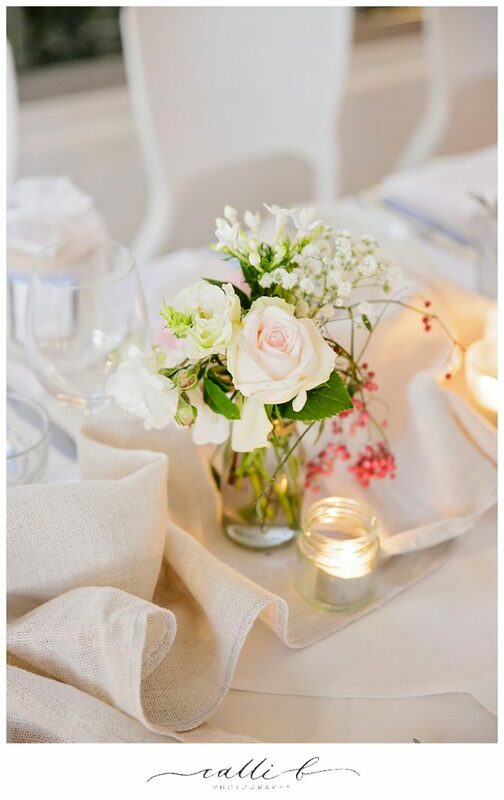 A colour palette featuring soft pinks, creams, vanilla, lavender and ivory tones were showcased through pretty petals including dahlias, David Austin roses, lisianthus, cottage roses and touches of stock, with sweet flowering fillers and baby’s breath accents also featuring. 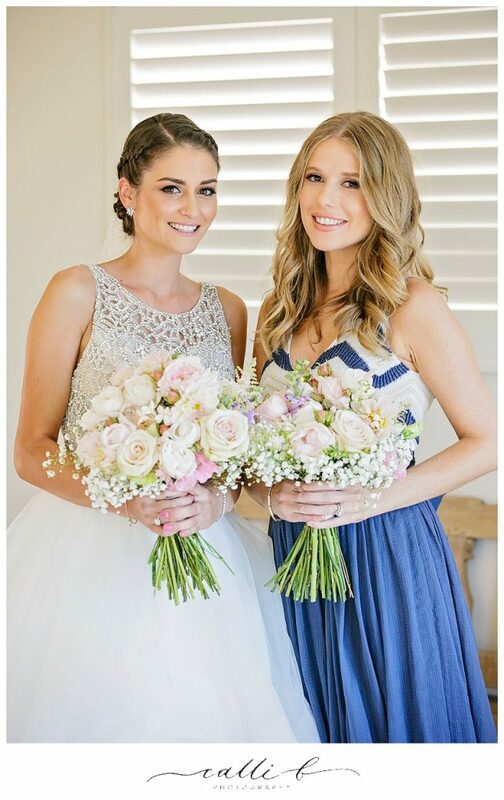 Lara’s wedding bouquet was a softly constructed hand held vintage style posy design that was the perfect accent to her divine wedding dress, with her lovely bridesmaid holding a smaller style design. 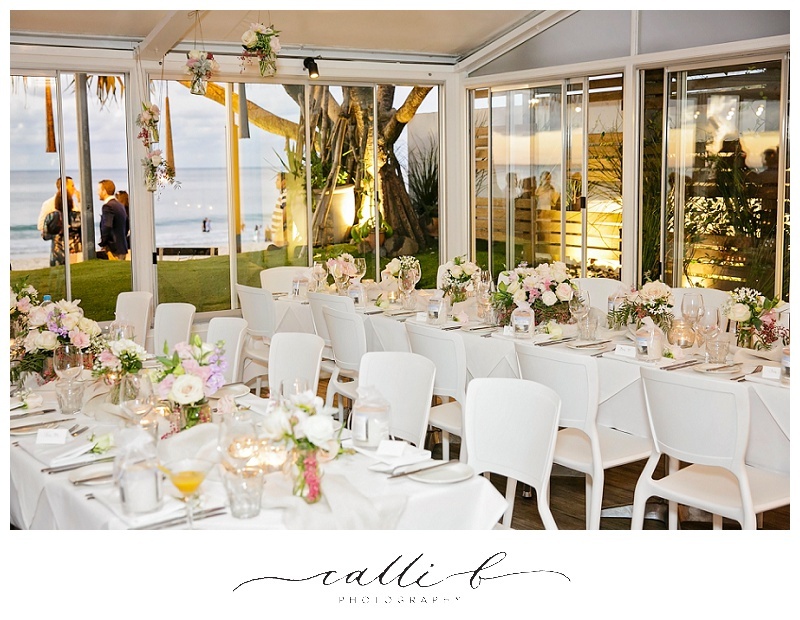 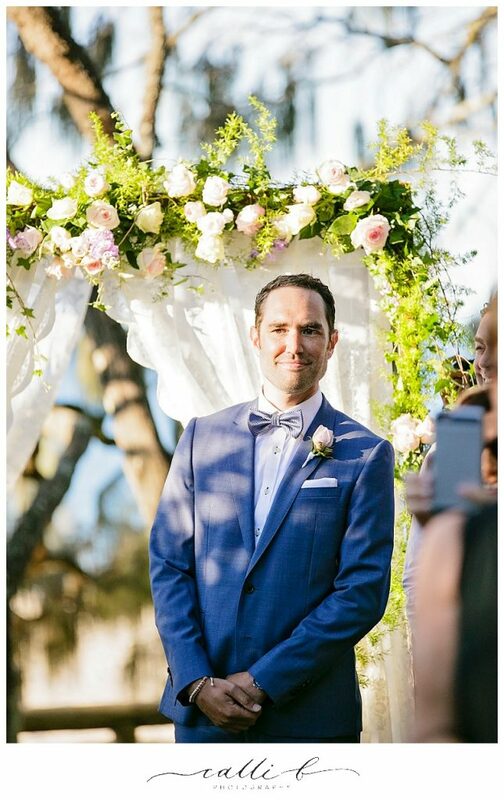 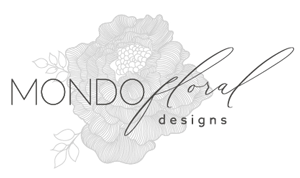 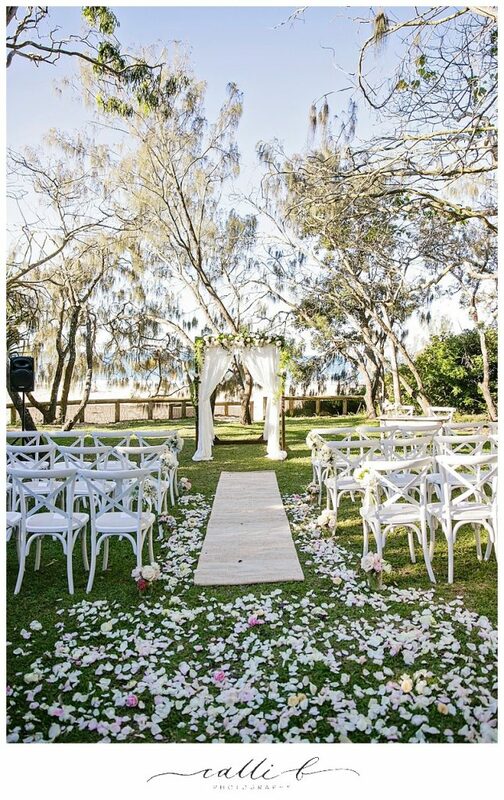 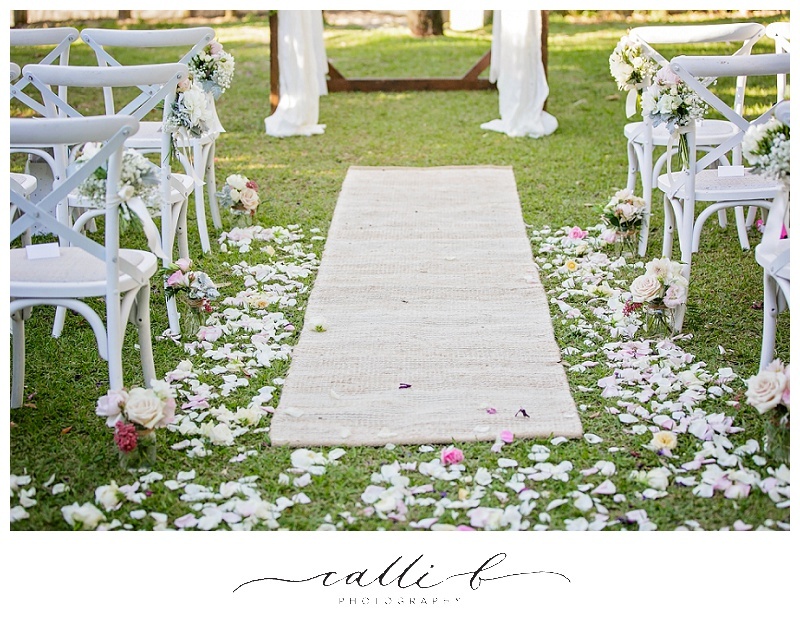 The ceremony was beautifully styled and with our lovely friends at Lovebird Weddings we created a romantic and elegant space with touches of coastal chic, our ceremony arbour floral feature showcased our delicate necklace of flowers. 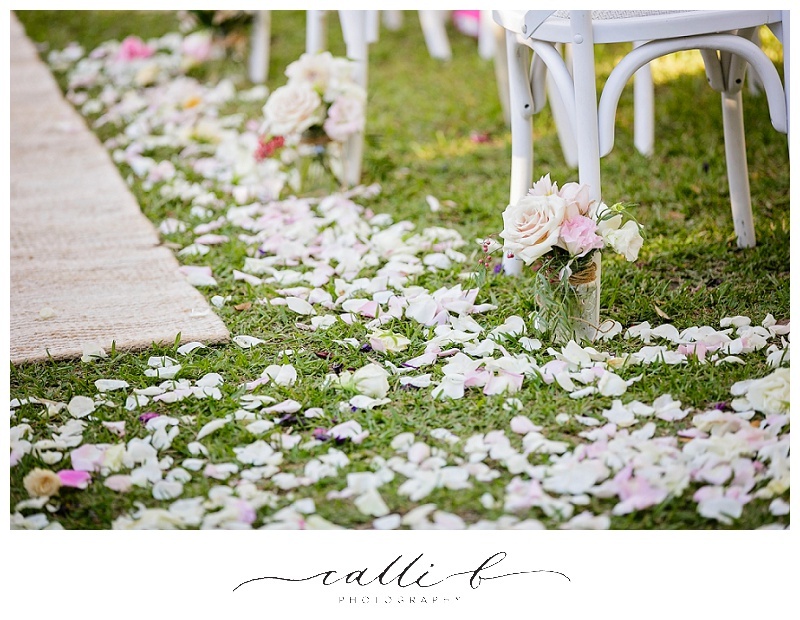 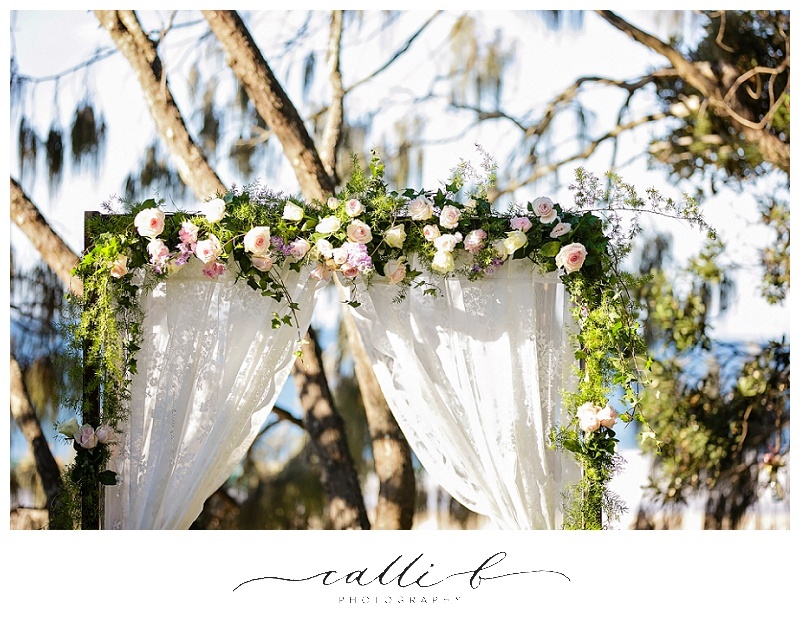 Pretty rose petals and heads of rose blooms adorned the aisle and sweet jars of flowers featured aisle side and hanging from the trees at Hidden Grove. 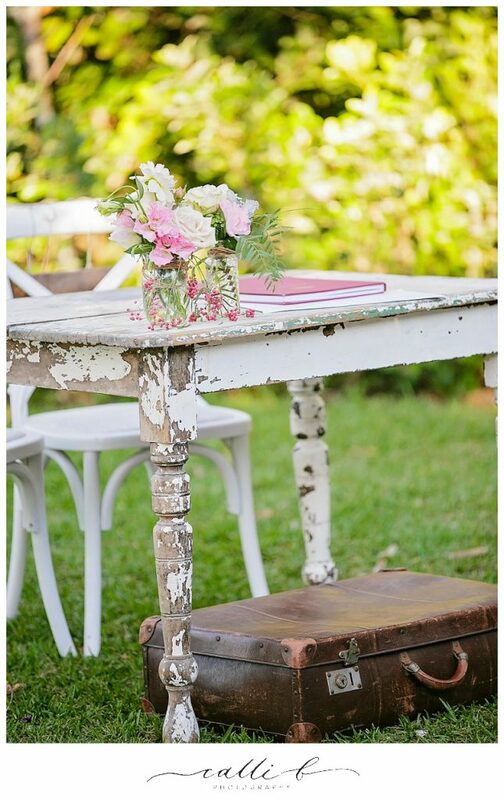 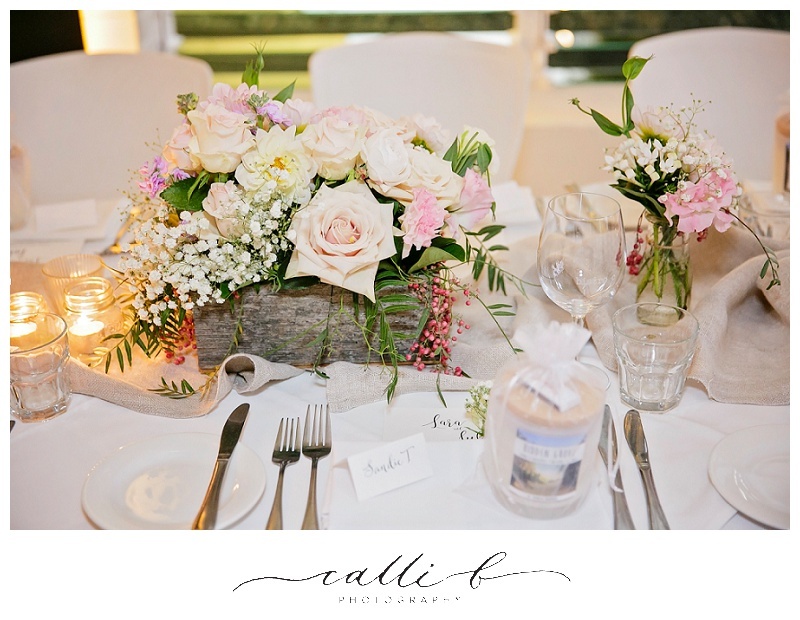 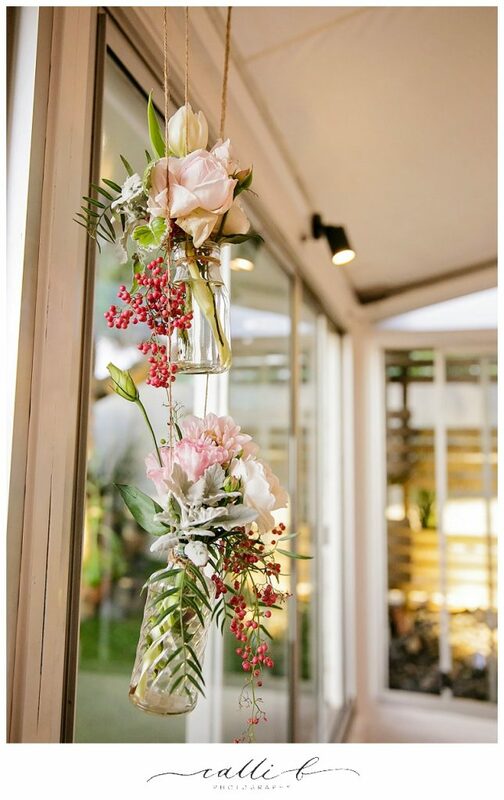 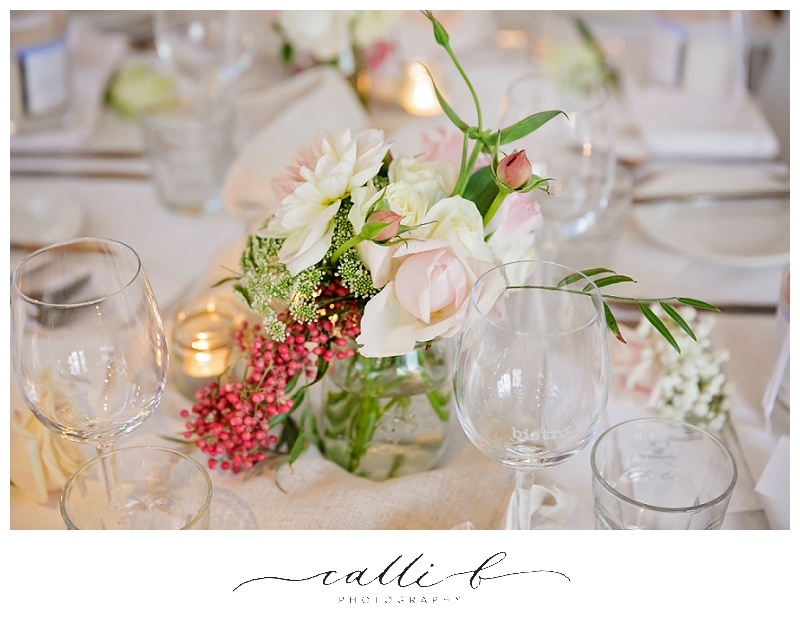 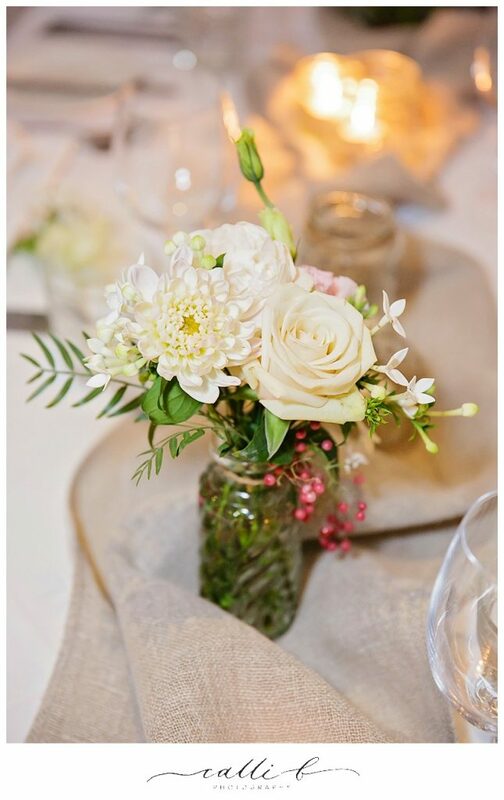 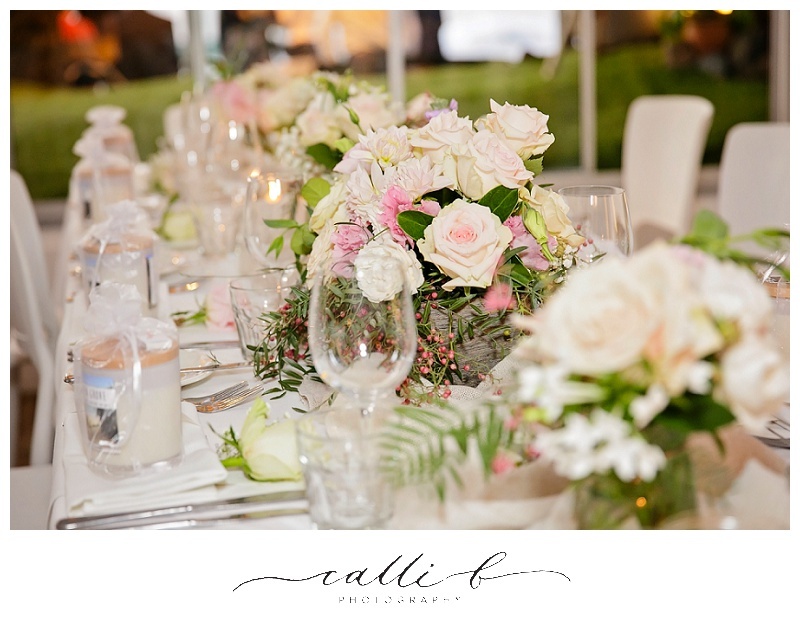 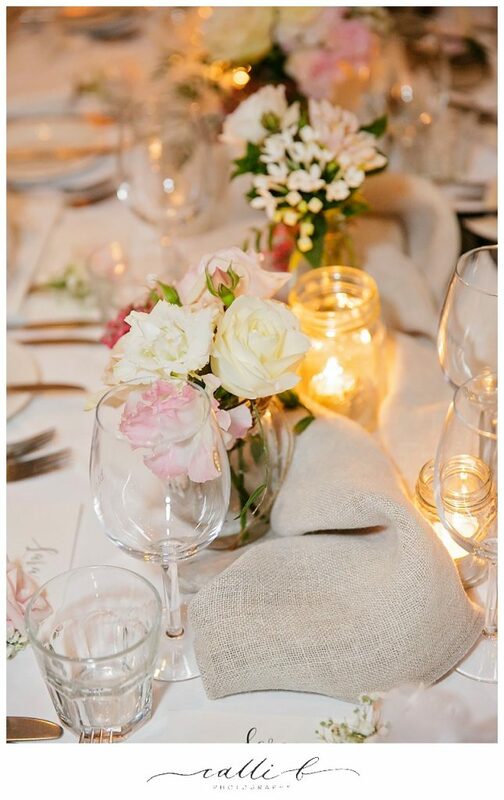 The reception held at beautiful Bistro C also featured hanging jars and bottles with pretty pastel blooms, and timber boxes with an eclectic group of jars either side also featured on the lovely reception tables. 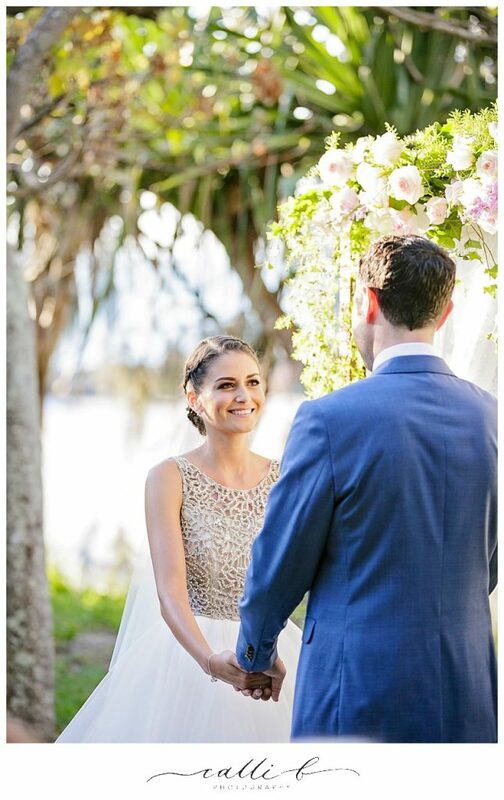 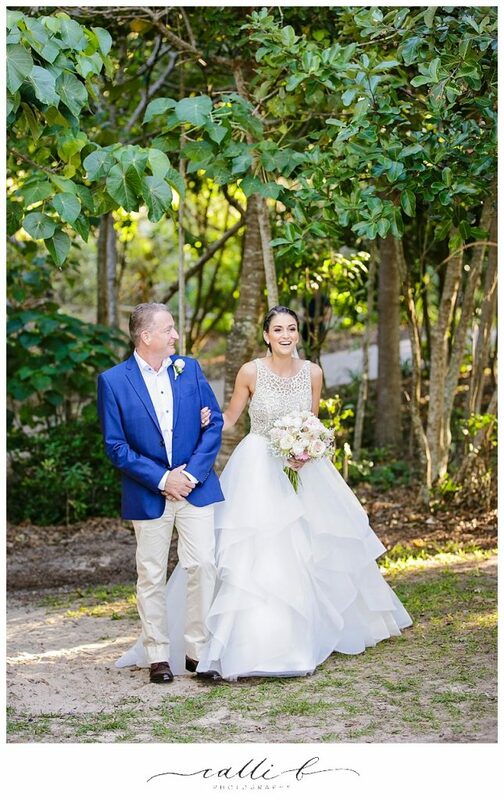 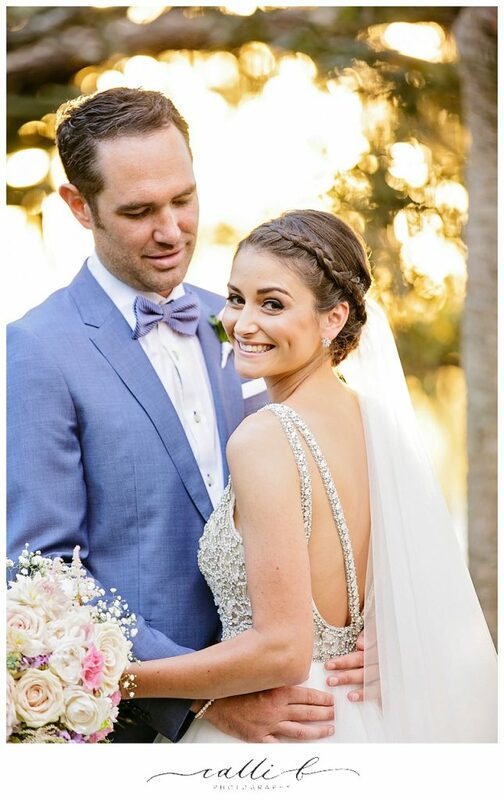 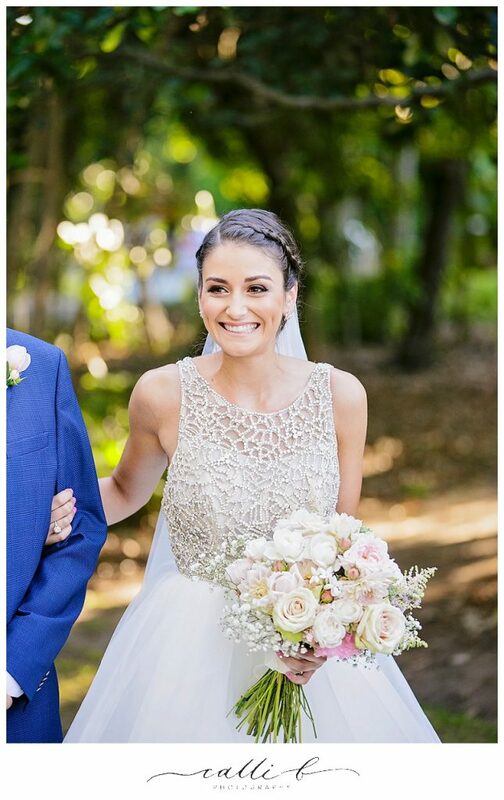 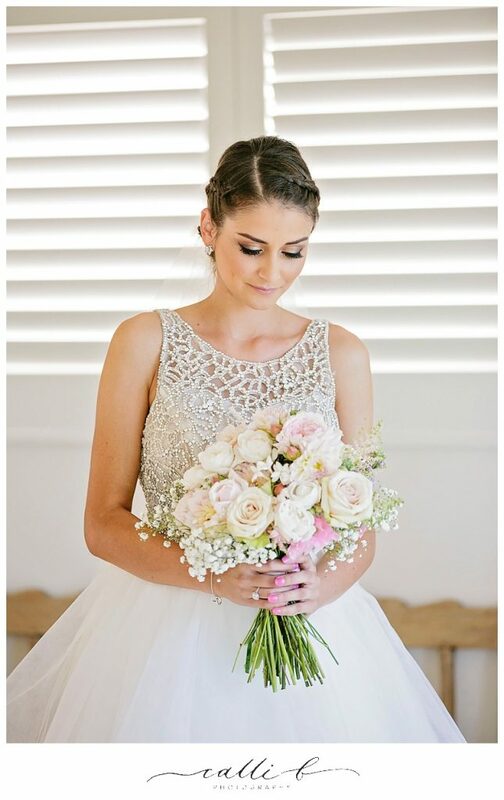 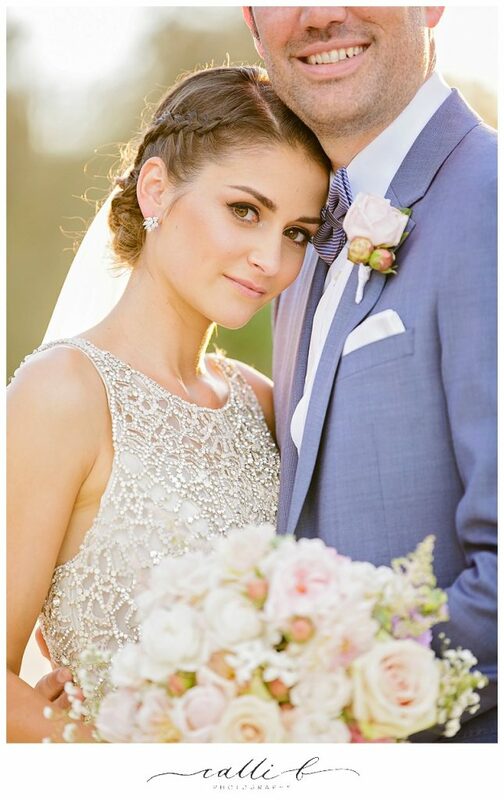 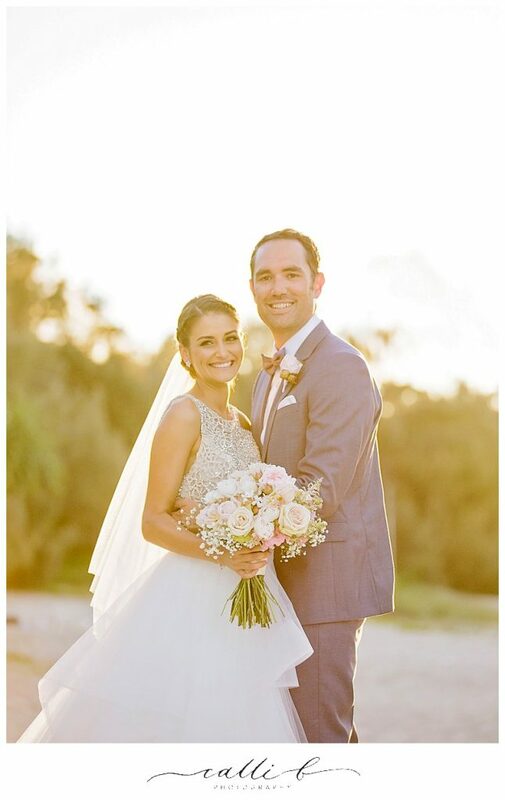 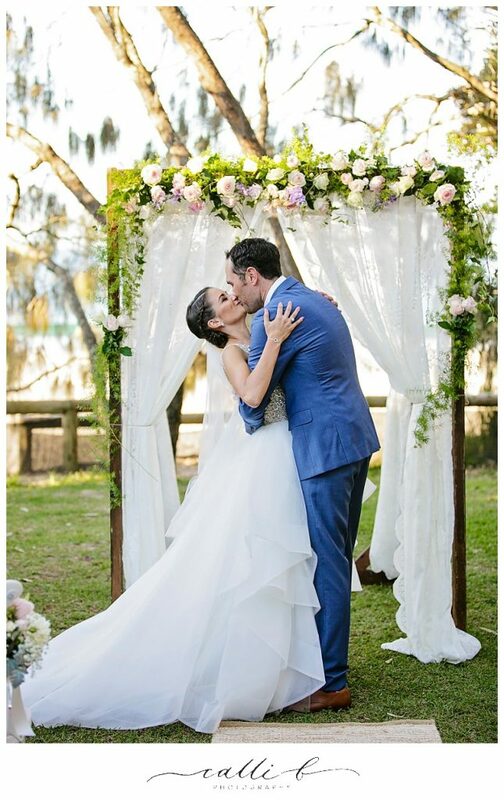 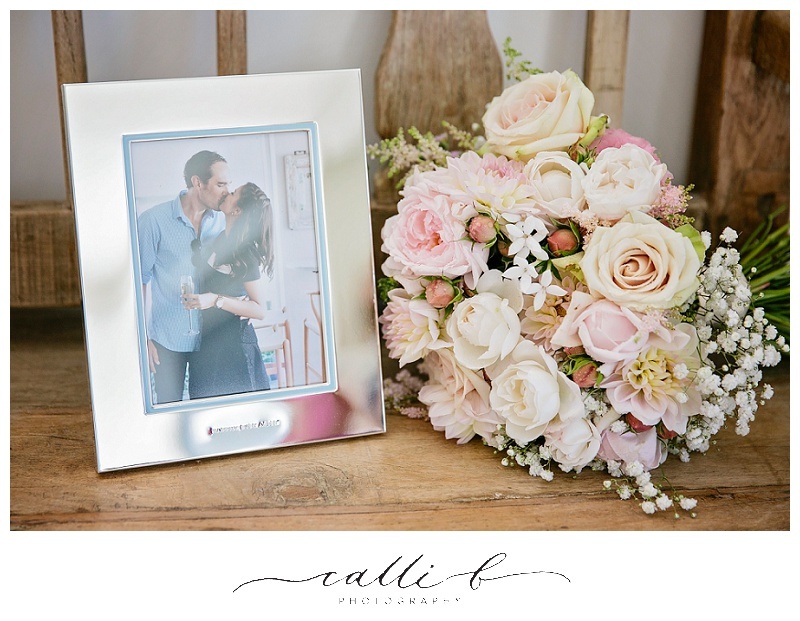 Lara and Luke’s vintage Noosa wedding day showcased love, laughter, family and fun with sweet styling and beautiful blooms.